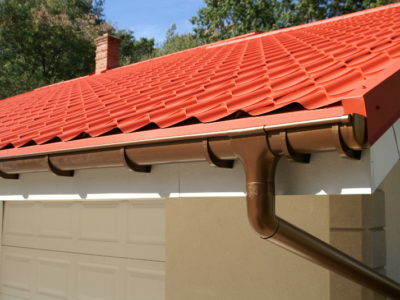 Like anywhere in the home, loft conversion storage will prove difficult. It doesn’t matter how minimalist we try to be – we still end up with bits and pieces that need a home. 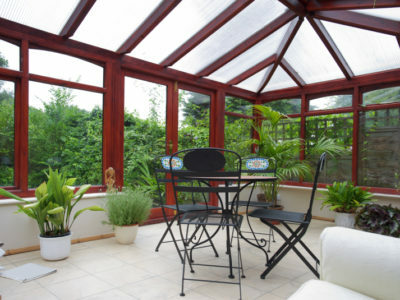 Loft conversions are a great way to add more space to your home. And you want to use that space in the best way possible. 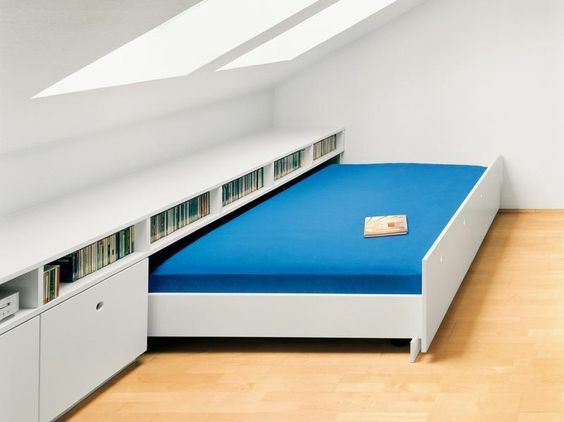 Whether you use your loft for an extra bedroom, a study or even a self-contained flat, these loft conversion storage ideas will help you make the most of it. 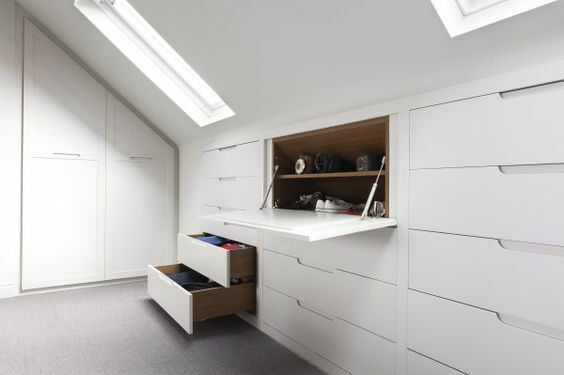 You can hide all your clothes away in your loft conversion by building cupboards and drawers in the eaves. The bedroom in the picture makes use of the space efficiently, and the flat handles gives the room a clean feel. This loft conversion has used the stairs as a source of storage. Adding a bookshelf along the stairway wall gives you a place to keep your favourite stories without eating into other space in your room. But it doesn’t have to be books you store here – you could have a display cabinet full of your knick knacks and heirlooms or even a pull-out desk or drawers (providing there’s enough room to move and you won’t fall down the stairs!). 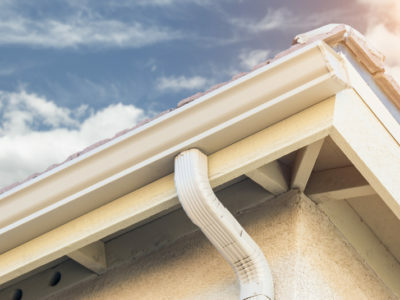 It’s possible to ask your tradesperson to build storage ‘windows’ into your walls when they are converting your loft. They can build backlit shelves into your walls for you to place items that deserve to be showed off. If you like, you could add frames around the shelves so they look like pictures. If your room is going to double up as a bedroom when you’ve got guests, think of ways to use the space efficiently. Take a leaf out of this homeowner’s book and add shelves and drawers, with one large drawer actually housing the bed. If you need the space for other things when you’ve not got guests, this is a great idea. This loft conversion storage idea is great for homes in a period style. 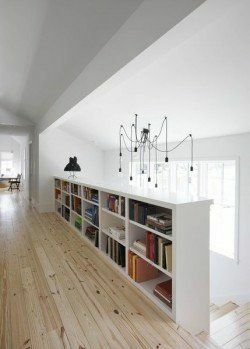 Notice how these homeowners use ladders as shelves. They also have a shelf built behind the beams on the left so they can place books and other items there. So, if you’re looking for some loft conversion storage ideas, here are some to get you started. Have you found any other great ideas? Let us know by tweeting us @Quotatis. 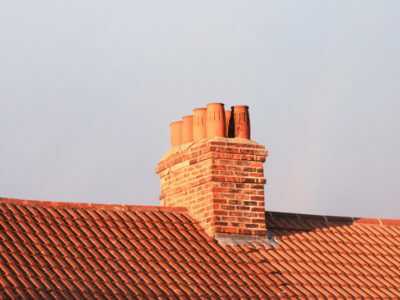 Not sure which loft conversion suits your property? Take a look at our guides on dormer, hip to gable and mansard conversions to see which is right for you.